5D Solutions is an Approved Applicator of Cube Bond. The coating gives the paintwork a permanent protection and they also provide a lifetime warranty to assure you of the quality of their product. 5D Solutions also import their tools and equipment from Germany and Italy to ensure that they give your car the very best care. 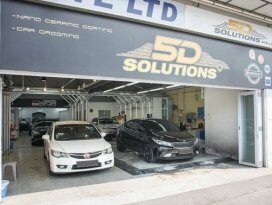 5D Solutions offers peace of mind if you're looking to invest in paint protection services for your car's paintwork.